Once the winter season hits in Appleton, it's important that you swap your tires out for options that are specifically engineered to tackle the challenges you face on icy roads. Many drivers are wondering if they can use winter tires all year long. We here at Jaguar Fox Valley want you to be informed about the seasonal maintenance needs of your vehicles, so here are some things you need to know. You should never use winter tires during the summer season. While it may seem like a hassle to swap them out once the weather changes, not doing so can cost you more in the long run. Furthermore, you would be putting your safety at risk. 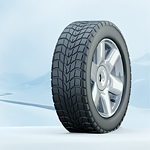 Winter tires have a unique rubber formula. It's softer than the rubber used on summer tires. As a result, they provide you with less traction during the summer months. The rubber material also wears down faster. This could prove to be problematic if you need to make emergency maneuvers. It's always recommended that you replace your existing tires to match the weather you're driving in.